What is it like to live in central Maine? Life in Maine is truly unique – the pace is a bit slower and year round there are amazing outdoor opportunities. Augusta and Waterville are small towns nestled in a valley of peaceful lakes and rivers. Many of our residents and faculty live right on or near water – coming home from work in the summer is like being on vacation each night. Fishing, swimming, kayaking, and hiking as well as cross-country skiing and snow-shoeing can be daily activities depending on the season. Waterville is home to Colby College and Augusta is the state capital. Though “small towns,” both are host to a diverse and often quirky collection of cultural opportunities. Railroad Square Cinema in Waterville is a classic art house theatre that also sponsors the Maine International Film Festival each summer. There are several eclectic and organic restaurants in the area as well as a great home-town brew-pub. We even have a family-owned sushi restaurant that can compete with any urban establishment! Our location in the center of the state also makes it easy to spend a weekend hiking in stunning Acadia National Park or visiting Portland or Boston for a fix of city life. Check out our Web site for information on local resources. Finding work for partners and spouses has not proven to be a challenge for most people. Some residents live closer to Portland or Bangor to facilitate a partner’s commute, and our well-connected community of staff and faculty work hard to assist with transitions – everything from finding a used car to making day-care recommendations. Though some of our residents are Maine natives who already know the secret of life here, we often find that those “from away” become hooked after three years and find it hard to leave! Are there other residency programs there? We are an unopposed family medicine residency program which means there are no other residents working in our teaching hospital. Our program is based in a community hospital (MaineGeneral Medical Center’s Alfond Center for Health) rather than a tertiary care center – this provides a learning experience that more closely represents the type of practice many of our residents plan to work in after residency. Because ours are the only residents here, they never have to “compete” with other specialties and can be the primary physician involved with patients in all departments, from the ICU to labor and delivery. It also allows our residents to tailor their learning to individual interests – the rare “slow” night on medicine call can be livened up by calling the ED and getting involved in procedures like central lines and lumbar punctures. Residents work directly with our family medicine attendings as well as with our local specialists, and all are enthusiastic teachers. Though we do not have sub-specialists such as neonatology or interventional cardiology in our hospital, residents interact directly with these attendings by phone and learn first-hand the skills of stabilization and transport needed to practice in a rural setting. Also, the nurses and other support staff of our hospital get to know residents on a first name basis and are another source of invaluable learning. Traditional call has changed quite a bit over the past 10 years, largely due to changes in work hour rules. At MDFMR, we employ a night float system to cover the medical service overnight. First and third year residents each take 4 to 6 weeks of night float in two-week increments. Weekends are covered by members of the medical team during the day and night float plus a senior on 24 hour call during the overnight. We work hard to ensure continuity over the weekends. 24 hour calls are templated for fairness. The call frequency varies depending on scheduled rotations, but is on average two calls per month, in addition to night float. The Residency is committed to compliance with accreditation-mandated work hour rules, and clinical responsibilities are never later than noon on the post-call day. Faculty are also quick to remind residents to go home and get sleep when their shift is complete! First year residents work approximately 12 hour shifts an average of 6 days/week while on medicine and OB rotations. On OB rotations, first years work 2 weeks of nights for a total of 4 weeks of nights in the first year. First year residents also have night shifts on other rotations once or twice monthly. Generally, first years have 4-6 days off per four-week block. There are also some rotations where call involves working with specialists and not covering a residency service. Call is usually from home for these rotations, which include surgery and ICU. Call from home does not mean no calls, however. Our attendings are quick to involve residents in their interesting cases and procedures. There is less call during the ER rotation because shifts are usually in the afternoons and evenings, to coincide with the periods of highest patient volume. Honestly, some nights are busier than others. It is rare that residents get no sleep, and usually there is time for a nap at some point. On the inpatient service, a typical night includes 2-4 admissions as well as 1 or 2 ER evaluations. Residents also cover outpatient phone calls while on call. Where do residents sleep and eat? There are call rooms exclusively for the residents, all equipped with cable TV, a telephone, a computer with internet access, a few medical texts and beds with clean sheets. Meals from the cafeteria are free for residents when on call. How well do residents develop procedural skills? Procedures on the inpatient medicine service (thoracentesis, intubation, central lines, etc.) are done by residents, and precepted by specialists, ER attendings, or our own family medicine faculty. Additional experience in any procedure of choice is easy to attain by setting up extra time with one of these attendings. During inpatient pediatric rotations we do lumbar punctures, endotracheal suctioning, and other common pediatric procedures. During our surgery rotation we usually second-assist on major cases and first-assist on minor cases. Residents have a lot of leeway in determining what experiences would be helpful during their surgery rotations. There is ample opportunity for starting I.V.’s, placing central lines, and intubating patients preoperatively under the guidance of the anesthesia staff. Residents perform office procedures on their own clinic patients under faculty supervision. These procedures include excision of lumps, bumps, and skin lesions, joint aspiration and injection, casting and splinting, vasectomies, and cryotherapy of warts and other lesions. We have developed a unique collaboration with local dentists and train residents in basic dental extraction. In addition, residents gain experience performing IUD insertion, endometrial biopsy, colposcopy, and cryotherapy for cervical dysplasia by working directly with our faculty. Colonoscopy and exercise stress testing are not part of our routine procedural training, but interested residents are able to pursue additional training in these areas. The opportunity to learn termination of pregnancy is also readily available through our local family planning office but is not mandatory. During inpatient family medicine and emergency rotations, residents gain more experience suturing and casting, as well as caring for trauma patients and running codes. Advanced Cardiac Life Support (ACLS) certification, Pediatric Advanced Life Support (PALS) and Neonatal Resuscitation (NRP) are provided by the Residency each year, and the Residency pays a stipend for all first-year residents who wish to take an Advanced Trauma Life Support (ATLS) course. Advanced Life Support in Obstetrics (ALSO) is scheduled for residents to take in their first year. How important is obstetrics in your curriculum? We believe that the practice of obstetrics is an integral part of caring for families. It is also among the most joyful facets of a physician’s work; most of our faculty provide obstetrical care in their practice. At Maine-Dartmouth, all residents complete OB training, with an average of about 70 deliveries by graduation. Residents first-assist on STAT C-sections and also work with midwives, allowing for education in a variety of labor management styles. Because of our rural location, residents are able to stay involved and co-manage a variety of higher-risk prenatal patients with our local obstetricians, including twins and gestational diabetics. We have also added an OB/GYN to our faculty to further improve training in this area and to serve more complex patients at our own family medicine practices. To gain more concentrated exposure to high risk patients, residents complete one month on labor and delivery in Nashua, New Hampshire. How is your educational curriculum structured? Everyone learns in different ways, and much of traditional residency work supports learning in an independent, experiential way. Attendings and senior residents teach “on the fly” but there are also daily didactic lectures. Morning teaching rounds happen on inpatient rotations, led by a rotating combination of senior residents, faculty, and specialist attendings. Grand rounds sponsored by the hospital occur weekly, hosting regional specialists from Portland and Boston as well as highlighting topics of interest led by local physicians. We also have noon conferences that cover an organized range of inpatient and outpatient topics. Tuesday afternoons are dedicated to teaching conferences that require a longer period of time, including procedural training, behavioral health, osteopathy, ethics, meaning in medicine, and core clinical topics. Additionally, residents participate in two four-week-long non-clinical rotations. One is focused on practice management and physician leadership, and the other is a combination of community medicine, integrative medicine, and critical thinking in medicine; both rotations are structured as a combination of classroom and experiential learning. Residents are assigned to the rotation as a class rather than individually. Further education in these topic areas happens longitudinally, but the rotation format allows depth and breadth of exploration and enables residents to connect as a class. Are residents involved in teaching medical students? Maine-Dartmouth is a host site for third year medical students from the University of New England College of Osteopathic Medicine, Tufts School of Medicine, and Geisel School of Medicine at Dartmouth, as well as for fourth year students from all over the country doing electives. Residents are involved as teachers and preceptors of students in both the inpatient and outpatient settings. We find that teaching students is one of the best ways for residents to really solidify their own learning. What is osteopathy? What does it mean to have MD and DO residents train together? MDs have studied allopathic medicine whereas DOs have studied osteopathic medicine. Osteopathic medical school is a four-year training program that is structured much like allopathic training with an additional emphasis on primary care and osteopathic manipulative therapy. Proportionally, osteopaths actually provide more primary care than do allopaths, especially in rural areas. Our program opened to osteopaths in 1994 and became dually accredited by the ACGME and the AOA in 2004. We have transitioned to a single accreditation system and are now an ACGME-accredited family medicine residency with Osteopathic Recognition. Allopathically trained residents have the opportunity to work daily alongside osteopathic residents, who are a great resource in diagnosing and treating musculoskeletal conditions. Osteopathic residents take part in an organized three year osteopathic manipulative medicine (OMM) curriculum and work directly with our osteopathic faculty; allopathic residents participate in an OMM curriculum tailored to help them develop basic manipulation skills. As a residency we are proud of our commitment to integrating osteopathy with full-spectrum family practice, both in the curriculum as well as in day to day office and hospital practice. Are there opportunities and support for international rotations during residency? Maine-Dartmouth provides opportunities for residents to experience medical work abroad through semiannual group trips lasting about 10 days. Most recently, residents and faculty partnered with a non-government organization in Honduras to provide medical care to rural Hondurans. Residents interested in international work sometimes use their “no call pool” elective in their third year to plan their own international experience. Members of the residency community have contacts and past experience around the world and are happy to mentor residents and facilitate international experiences. Residents and faculty have traveled individually to Africa, Australia, Belize, Guatemala, Haiti, Honduras, India, New Zealand, and Vietnam, to name a few places. Many of our faculty and all of our residents are involved in scholarly activity, primarily related to clinical topics. Each resident is required to have an academic project, and support for this work comes from a faculty member with experience in research and publication. Some recent research projects include an observational study of co-sleeping with animals and daytime sleepiness; evaluation of a faculty night float system; structured care for individuals at risk for familial cancer syndromes in a family medicine residency; using an educational exercise as an intervention and assessment tool for inter-professional collaborative practice; exploring unintended pregnancy and contraception use among women in medication assisted treatment for opiate dependency; and cannabis use and relapse in opioid dependent patients maintained on buprenorphine. A number of residents have chosen to team with a faculty member to author a Help Desk Answer for publication in the Family Physician Inquiry Network’s on-line journal, Evidence-Based Medicine. In addition, faculty have authored books in the Little Black Book series of medical handbooks and involved residents in literature review for these publications. Faculty also collaborate with residents to present and publish interesting clinical cases. Is there a difference between the Augusta and Waterville clinic sites? The Family Medicine Institute (FMI) serves patients from Augusta as well as from surrounding rural areas. Located nearby is the state-managed Riverview Psychiatric Center, which provides involuntary inpatient care to individuals in psychiatric distress. This geographic proximity and the enhanced level of community supports for persons living with mental illness has contributed to more notable exposure to patients with chronic mental health issues for providers at the FMI. Maine Dartmouth Family Practice is located at the Thayer Center for Health in Waterville, a comprehensive outpatient care center approximately 20 miles from our regional hospital. It has a more rural setting and a smaller patient volume; thus it has fewer providers and staff. The Waterville practice is notable for its numbers of pediatric patients, in part because our faculty pediatrician is primarily based at that site, and its higher number of OB patients. Each site has its own “personality” – visiting both during the interview day is helpful in discerning between the two. Both have excellent faculty and staff, both deliver team-based care with behavioral health, nurse care manager, and social worker support, and both provide good exposure to a wide variety of medical conditions. How are residents assigned to a clinic site? After both matches (AOA and NRMP) are completed, the Residency contacts each new intern to ask about preference for one site or the other (Waterville or Augusta). The sites do not have separate Match numbers. When the final decisions are made, resident preference is paramount, but an attempt is also made to balance gender of providers and osteopathic/allopathic training between the sites. For the next three years, residents see their family medicine office patients at their assigned center. Each place has its own culture, but both offer a wide scope of practice and quality faculty. How well do people get along? Are residents involved in decision making? Residents, faculty and staff of Maine-Dartmouth share a commitment to providing comprehensive and compassionate primary care for our patients. At times, this work can be challenging in the face of patients’ poverty, lack of transportation, mental health concerns, language barriers, or our own struggles for personal balance. Our community of care providers is very diverse, with a wide variety of personal beliefs, customs, and medical training. This diversity leads to many different approaches to care and sometimes to spirited debate. We emphasize respect and celebration of our differences and support each other when our work becomes challenging. Because we are working together toward common goals, we find we get along well as a community. There is a bi-weekly meeting of all residents in which issues affecting the program or learners are discussed. From these meetings, the chief residents communicate residents’ concerns to the faculty. Residents and faculty also meet quarterly in a “town-meeting” style noon conference. Every year, changes are made to curriculum or other residency logistics which demonstrate not only the active role of the residents in helping to shape the program, but also faculty receptivity to residents’ suggestions. Two recent examples of resident driven curricular change are improvements in precepting with a structured process for residents to provide feedback to preceptors, and an initiative to strengthen outpatient training. Away from work, residents form friendships in and outside the residency community. Residents get together on a regular basis for support and decompression, and for having fun. Throughout interview season, residents host dinners for applicants twice a week and find this a great time to relax and enjoy one another’s company as well as to share their experience at Maine-Dartmouth. Faculty members consistently expect that residents interact with them on a first-name basis, and they feel like friends as well as mentors. These relationships are fostered by dinners together, and occasional parties which involve family and friends of everyone in the program. The faculty is also exceptionally dedicated to this residency, as evidenced by our low turnover rate. Each resident gets twenty-one paid days off (combined vacation and sick days) per year, the maximum allowed by the American Board of Family Medicine. There are also five CME days granted per year, and the conference stipend is $2,000 over the three years. There are only a few rotations during which residents cannot take any vacation, and most rotations allow between 1-5 days of vacation. Holidays are divided evenly among the residents. Usually residents work 2 holidays per year, only one of which is a major holiday (Thanksgiving, Christmas, or New Year’s). On each rotation, each resident always has at least one full weekend off. Can I have a family while learning family medicine? Many of our residents have children and all successfully maintain a variety of relationships with family and friends while at Maine-Dartmouth. Every year we have several new children born to residents and faculty – our community is always growing! The Residency works hard to be as flexible as possible to support residents and faculty in balancing personal and professional priorities, recognizing the value of committed physicians who are fully engaged members of their families and their communities. There is precedent here for shared positions and part-time work – if these ideas interest you, please feel free to contact us to learn more. What does your compensation package for residents look like? Does the residency support international medical graduates? Our selection committee individually reviews and considers applications that meet our criteria. We are open to training any medical graduate from any country who is genuinely interested in family medicine. Over the years we have welcomed international medical graduates to Maine-Dartmouth as residents, chief residents, fellows, and faculty, and our community has only been the richer for it. Residents, faculty and staff gain not only a different clinical perspective from our international colleagues but are also challenged and strengthened by a continually growing diversity of beliefs, cultures, and perspectives on health and illness. Please feel free to be in touch with any of our residents to learn more about their individual experiences. What do graduates end up doing? Most graduates practice comprehensive family medicine with several each year doing OB. Though our goal is to provide excellent training to prepare for practice in a rural setting, our residents feel able to practice anywhere – including international and urban locations. We have had many graduates over the years with National Health Service Corps commitments. Some alums work in emergency medicine, some are hospitalists, and others have pursued advanced subspecialty training. Many of our graduates have an interest in teaching and have taken full-time academic clinical positions, and others serve as part-time preceptors in our program. There is free food every day for lunch, but it is never sponsored by drug companies. The faculty and residents at Maine-Dartmouth have established a policy of not accepting solicitations/gifts from drug company representatives. We feel very strongly that our education should be free from conflicts of interest, financial or otherwise, to the fullest extent possible. While the issue of drug reps may seem a minor one, it is characteristic of what attracted many of us to this program: a willingness to question assumptions about a physician’s responsibilities, and a refusal to do things a certain way simply because of tradition. Why should I consider coming to Maine-Dartmouth? Most of our residents were drawn to this program by the exceptional mix of faculty and residents who are bound together by a commitment to medicine that is scientifically rigorous and yet always compassionate. A fly on the wall of the hospital wards or in our clinic preceptor rooms will find a lively give-and-take among faculty and residents, characterized by respect for experience as well as desire for fresh perspectives. During these discussions the guiding philosophy of our program is most apparent: we are all students, and we are all teachers. This respect that residents and faculty hold for each other carries over into the respect they give to the people who are their patients. When the day is long and residents and faculty are tired, interactions with colleagues help to not dehumanize patients but to preserve their dignity. Many residents choose to come here because of the Residency’s commitment to the underserved and to improving primary and preventative care in rural communities. We believe that the best way to prepare to practice in a community with limited resources is to train in a similar setting, with mentors who continue to practice full-spectrum care and hands-on learning as the rule. 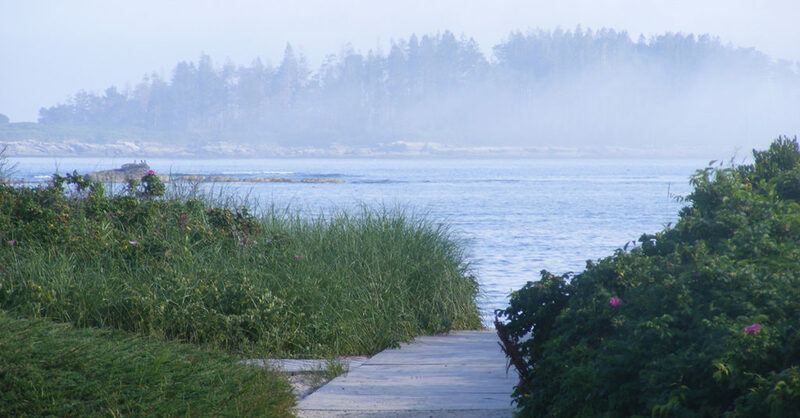 Finally, there is life in Maine: one of the few areas in New England where community doctors practice the full range of family medicine in an incredibly beautiful setting. Residency can be a physically and emotionally challenging time, and there are few places as stunning as this in which to relax and seek personal balance. Listening to loons sing on a warm summer night or cross-country skiing on a pristine backwoods trail is an added bonus to fulfilling medical training. While there is no expectation that graduates will stay in Maine, it’s not hard for us to understand why many do.